Canadian cannabis company Canopy Growth is a high growth stock that’s more than doubled in the last year. And thus, its CEO Bruce Linton is confused why shares in alcohol maker Constellation Brands, which invested $4 billion into the company late last year, aren’t enjoying the same rally. In fact, Constellation shares have dropped by about 20% in the same time period. When Constellation Brands reported fiscal third-quarter earnings in January, shares sunk 11% to a near-two-year low, partially due to a drag on its outlook stemming from its bet on Canopy. The company, which is the third-largest beer maker in the U.S., said it wrote down the value of its stake in Canopy by $164 million and that the interest payments from the deal were expected to take 25 cents off its per-share earnings for the year. Since then, shares have recovered about 15%. But for long-term believers in Canopy Growth and what the company could deliver if its investments in hemp, CBD products and marijuana pay off, that’s not nearly reflective of what a 40% stake could be worth, Linton said. For starters, the duo intends to roll out much-awaited cannabis-infused beverages in Canada when law permits in 2019. The research on such a product started years before Constellation’s latest investment, however, and it shows. That would indicate the company would be more than ready to supply store shelves if Canadian regulators permit the sale of cannabis beverages as expected in 2019. “I don’t say you get the biggest reward for moving first, but I’ve seen a lot of penalties for not being first,” Linton said in relation to competition from other partnerships between cannabis companies and beer manufacturers like Tilray teaming up with Budweiser maker AB InBev. Interestingly, Tilray’s partnership with AB InBev looked small in comparison when it was announced in December. The $100-million joint venture came together by each company fronting a $50 million investment to research CBD-infused beverages. The second largest beer maker in North America, Molson Coors, structured a similar partnership with cannabis company Hexo Corp. for the same end. 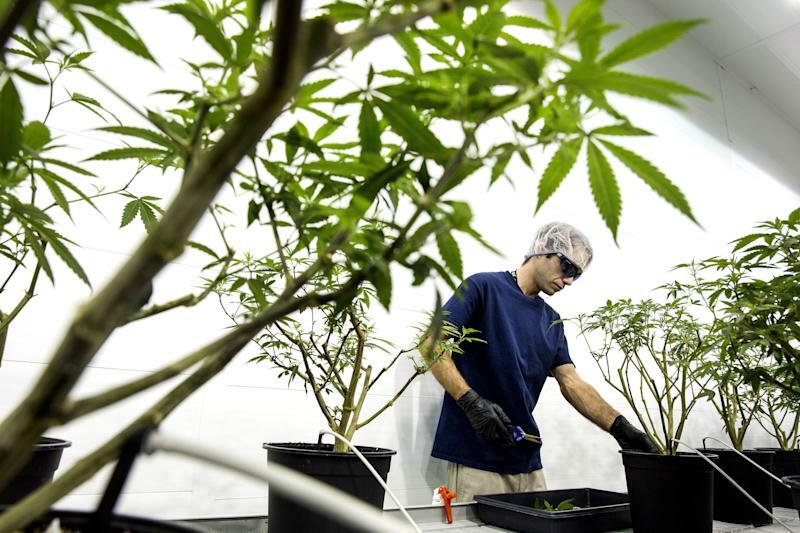 But neither deal involved nearly the same amount of upside that Constellation Brands could potentially enjoy with a sizeable stake in a cannabis company. Part of the reason that might be is that not all cannabis companies are so eager to give themselves up during their growth stage. That was the thinking of Tilray CEO Brendan Kennedy, who said that he would rather, “control his own destiny.” But you could make the argument Linton and Canopy have held on to theirs as well in their deal with Constellation. How much upside? Well, pointing to the fact that Canopy has quickly expanded to operating in 16 countries as a new line of products prepares to be legalized in Canada, Linton projected that it’s likely to potentially outgrow Constellation Brands itself. Analysts like Wells Fargo’s Bonnie Herzog agree in seeing a potential upside to Constellation’s Canopy stake over a longer-term horizon. So while that same stake may have had a drag on Constellation’s outlook in its latest report, the success of the products from its partnership later this year could be the very same catalyst that drives it higher. For more from our interview with Canopy Growth CEO Bruce Linton, tune in to YFi PM on Yahoo Finance at 1PM EST. Zack Guzman is the host of YFi PM as well as a senior writer and on-air reporter covering entrepreneurship, startups, and breaking news at Yahoo Finance. Follow him on Twitter @zGuz. What's the Consensus Analyst View on Canopy Growth in April?